Since 1998, Chef Approved has acquired expertise in manufacturing, trading, and distributing foodservice textiles and apparel, including chef coats, kitchen aprons, kitchen towels, delivery bags, and more. 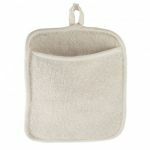 Browse the selection of Chef Approved products to outfit your staff and your kitchen. 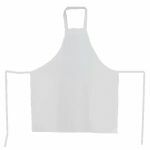 Chef Approved 167026WH White Bib Apron with Two Pockets - 30" x 34"